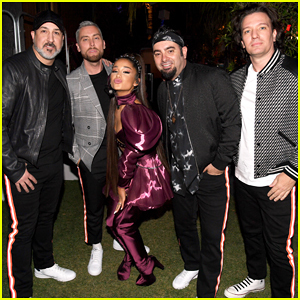 Chris Kirkpatrick Photos, News, and Videos | Just Jared Jr.
Ariana Grande tore up the 2019 Coachella Music Festival stage with a little bit of help from NYSNC last night (April 14). 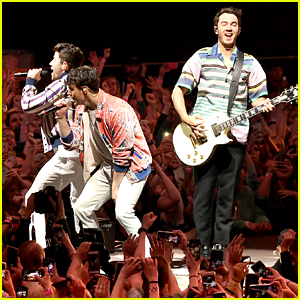 The 25-year-old entertainer performed the first of two headlining sets at the annual music festival on Sunday (April 14), and staged a surprising reunion of the ’90′s boy band. Yep, NSYNC is definitely at Coachella with Ariana Grande and they shared a selfie before the show to tease the performance! 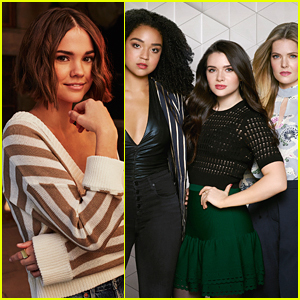 Four of the five group members – Joey Fatone, Chris Kirkpatrick, JC Chasez, and Lance Bass – are present for the show on Sunday night (April 14) in Indio, Calif.
“Tune in now,” the group captioned the photo on Twitter along with a link to the live stream. Justin Timberlake is on the east coast in New York City. Our sources spotted him tonight at sushi restaurant Sugarfish with Jessica Biel and other friends. He just wrapped his Man of the Woods tour on Saturday night.